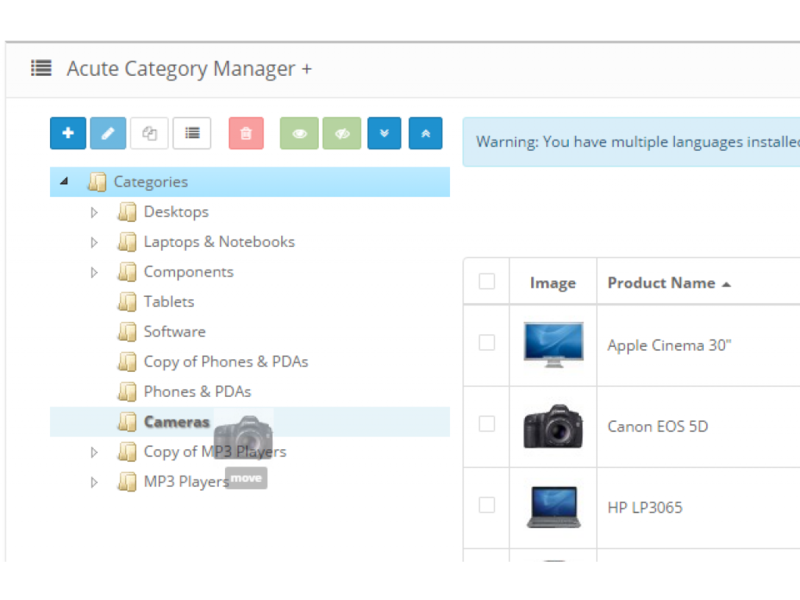 See the category tree of your store and products listed by subcategories? 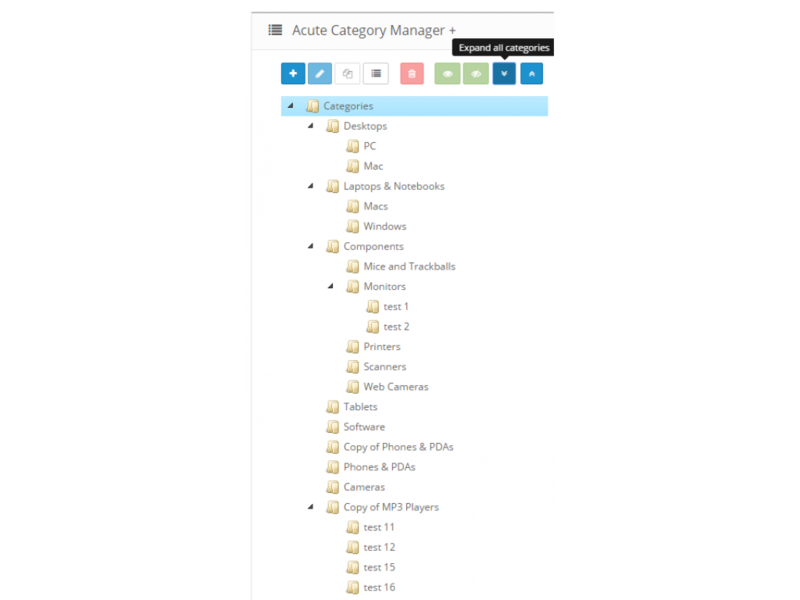 Add and edit products and categories without opening a heap of new tabs? Quick edit product fields (price, model, name etc) ? Fix any import errors and (re)assign your products to the categories? Create a categories from simple text data? Move or share products between several categories? Clone products or even categories keeping their full structure? Reorder categories within a parent or even move it up or down a tree? This module is exactly what you need! It works for 1.5.x 2.x and 3.0.x versions! By purchasing copy of the module, you get the right to use it on one public domain. Issuing a second license for test environments or a local server only after purchasing the module! After purchasing the module, run the settings, follow the instructions and send to the author of the module a personal License ID. In the reply message you will receive a license, which you must specify and save in the module settings. The module is provided "as is" without warranty of performance, data integrity, and other express or implied warranties. The author of the module does not bear any responsibility for causing or causing harm to you, your information or your business due to the use or inability to use this module. 3 copies or more 525.00 р. 5 copies or more 378.00 р. 7 copies or more 360.00 р. 10 copies or more 315.00 р. 50 copies or more 189.00 р.